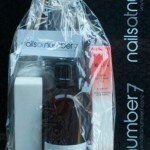 Nails at Number 7 is a beauty salon business in Mt Albert which provides manicure and pedicure treatments, waxing, eyebrow and eyelash tinting, eyelash perming/tinting, eyebrow waxing/shaping and spray tanning. We offer the very best in quality treatments and services, the highest standard of hygiene and professional client rapport. Nails at Number 7 are located close to Gladstone Primary School with convenient off street parking. We guarantee you will love your time spent with us as we pride ourselves at delivering the very best. The salon hours are flexible as we endeavour to accommodate our customers work schedules. This includes after hours and weekends. We do suggest you make an appointment to ensure you get the time and date that best works for you. Our salon prides itself on hygiene. We use a commercial grade antibacterial cleanser on all implements and tables before and after use on every client. Our pedicure bath is treated in the same manner. We keep our manicure implements separate from our pedicure implements to avoid any cross contamination. Every client has a freshly laundered towel to dry their hands.